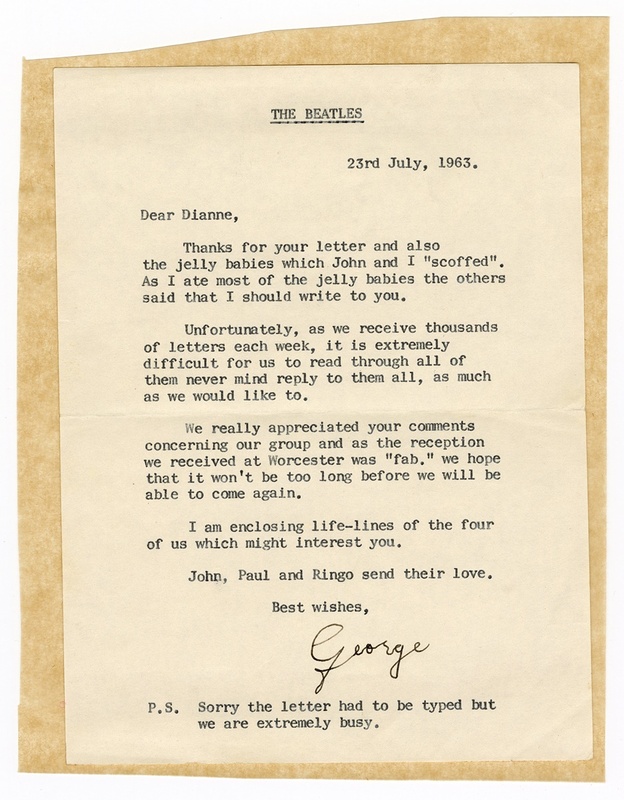 Beatles George Harrison typed letter to a fan signed by his mother for George in black ink. 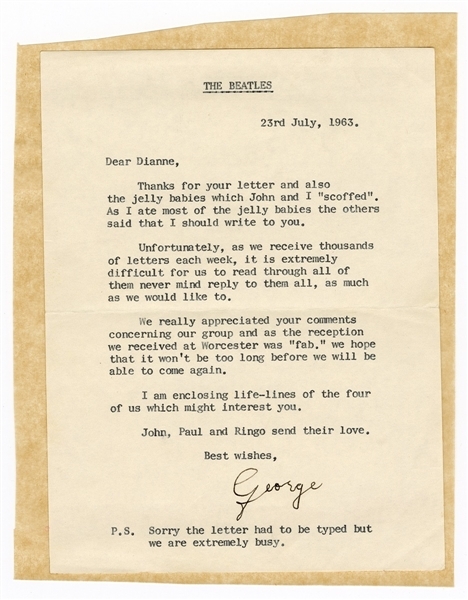 The letter is titled "The Beatles" at the top and dated 23rd July, 1963. The letter measures 5.25 x 7 and is attached to a 6 x 7.5 sheet of vellum. Very good condition. Comes with a Gotta Have Rock & Roll™ Certificate of Authenticity.